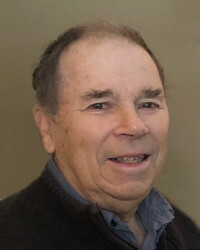 It is with great sorrow we announce the peaceful passing of our beloved dad, grand-dad and brother on January 18, 2019 at the age of 80 at Pinawa Hospital. Dave will be missed by his daughters Tracey (Jeff) and Susan (Ron), granddaughter Desirae; and brother John (Barbara), as well as nieces and nephews. He was predeceased by his wife Ann of 50 years, in 2016. Thank you to Dr. Bruneau and staff of the Pinawa Hospital for all your care and compassion. A Celebration of Life is planned for Wednesday, January 23 at 2:00 p.m., at Sobering Funeral Chapel, 1035 Park Ave. E., in Beausejour. In lieu of flowers, donations in Dave’s memory may be made to CancerCare Pinawa, Box 220, Pinawa, Manitoba R0E 1L0. Our sincere condolences at the loss of your loved one. May all your memories help you through this difficult time. God bless. I want to offer my deepest condolences to Susan and family during this difficult time. Treasure all of your memories and hold them close. I will dearly miss my dear brother David. He loved Canada since moving there from England in the late 1960’s, and loved even more his 2 daughters Tracey and Susan, and also his beloved grandaughter Desirae. My wife Babs and I loved our visits to the beautiful home that he built on the Lee River, he was so proud of his workmanship. RIP dear Brother and brother in law.